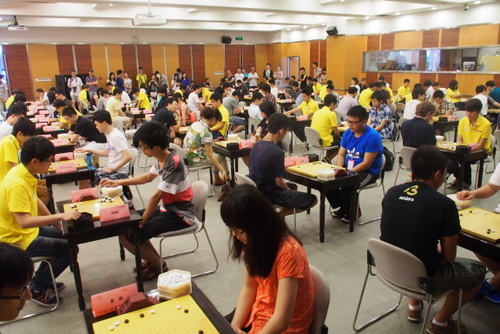 The deadline to apply for the 2015 Collegiate Go Tournament being held in Taiwan this summer has been extended to May 1st. This event is open to any current, future, or recently graduated college(both undergraduate and graduate) student, who will or has attended school in the year 2015. All costs related to room, board, tours, and travel during the event will be covered by the Ing foundation. 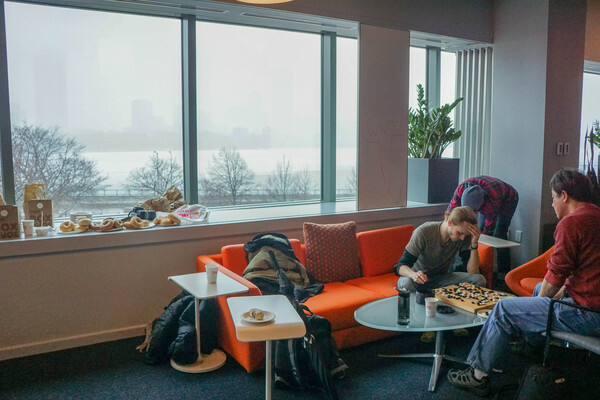 Organizer Mike Fodera says that the event is meant for students of any playing strength to participate, and will have four divisions so that everyone will be able to play someone around their rank. Find out more information about the tournament — and the forms to register — on the ACGA’s website. - Walther Chen; photos by Chun Sun 5d and Chanho Park; click here for the complete album. 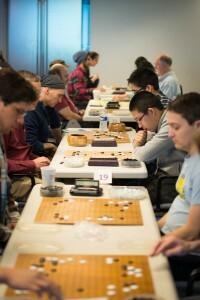 Second place: Keith Arnold, 4D, 2-1; Frederick Bao, 1D, 3-1; Gurujeet Khalsa, 6K, 2-2; Louise Ingram, 9K, 3-0; and Sarah Crites, 13K, tied with Antonia Perez-Lopez, 21K, 2-2. Registration for the 2015 AGA Go Camp is now open. The Go Camp will be held from July 18th to July 25th at YMCA Camp Kern in Oregonia, OH, about half an hour from Cincinnati. Camp directors Amanda Miller and Nano Rivera invite campers of all skill levels, between the ages of 8 and 18 to join them for a week of go-playing and fun. 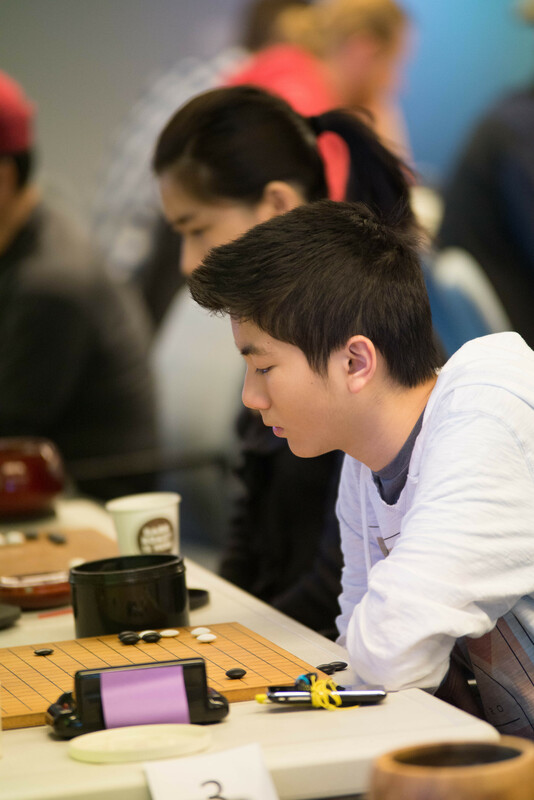 Youth who played in the NAKC or the Redmond Cup are eligible for a $400 scholarship, and need-based scholarships of up to $250 are also available. For more information on the latest camp-related news, and to download the registration forms, please visit the camp website. Any questions can be e-mailed to Amanda Miller at agagocampeast@gmail.com. 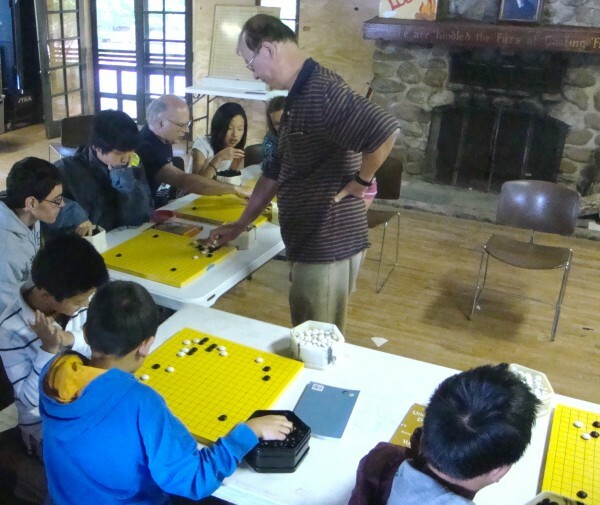 - Story and photo by Amanda Miller: Yilun Yang 7P plays a simul at last year’s camp.